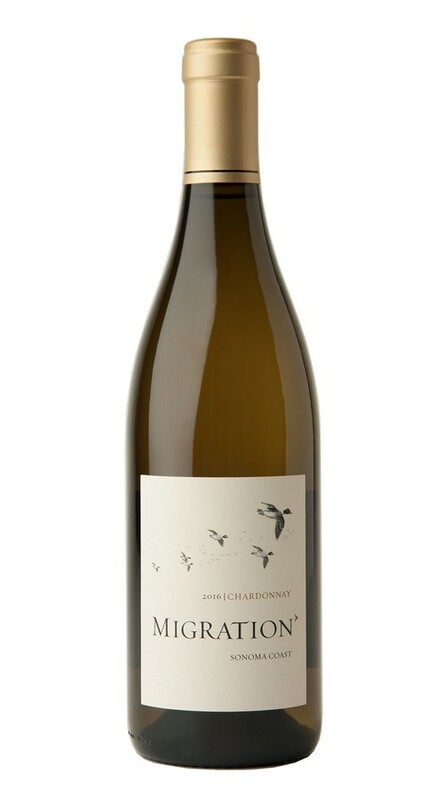 Migration is dedicated to crafting wines from the finest cool-climate winegrowing regions highlighting lush fruit, bright acidity and impeccably balanced oak. This dedication has taken us to the storied vineyards of California’s Sonoma Coast, where layers of ocean fog cool the vines that grow in the famous Goldridge sandy loam soils. Reflecting this world-class terroir, this vibrant and sophisticated Chardonnay combines white flower aromatics with enticing lemon custard and stone fruit flavors. Both lush and graceful, this wine begins with layered aromas of apple, pear, graham cracker pie crust and sweet baking spices. The orchard fruit notes are echoed on the palate, where they mingle with hints of honey, vanilla and seamlessly integrated French oak. The wine strikes a lovely balance between bright acidity and a supple flowing texture as it glides to a long, focused finish.